Beth Chabad C.S.L. is founded on the principle that, while Jews embrace many levels of observance in their personal lives, there should be a place for all Jews no labels, no affiliations. They develop a sense of community and enhance the experience of being Jewish. They have successfully catered to hundreds of families from all backgrounds, offering Jewish educational programming in an accepting and innovative setting where all feel welcome. The goal is to create a positive Jewish experience for everyone as they strengthen their ties to the Jewish community. 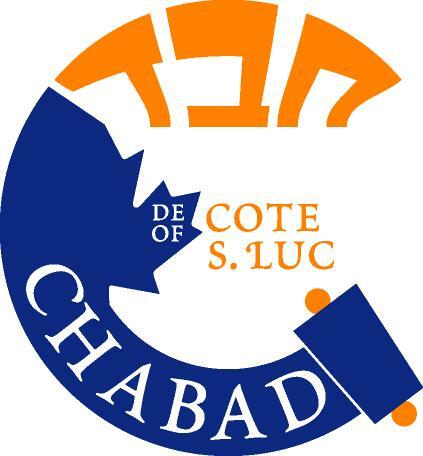 Beth Chabad C.S.L. is a place where every Jewish person is welcome - regardless of affiliation or level of knowledge. Our sole purpose is to create a warm welcoming environment to explore and experience our heritage in a non-judgmental and inviting atmosphere. Beth Chabad C.S.L. was founded in 1986 by Rabbi Menachem Mendel & Sarah Raskin and is part of the fastest growing and most dynamic Jewish organization in the world. Over the past twenty five years it has provided Jewish outreach to the 30,000 Jews in the C.S.L. area through intensive outreach and innovative programs and services. When it comes to our youth, the Chabad-Lubavitch philosophy is simple: Education is not limited to the hours a child sits in a classroom, but must become a way of life. In today's world it is imperative for our youth to have a strong grasp of Jewish practices, traditions, values and Hebrew skills. Our goal is to instill within our children and youth a sense of Jewish pride, so that they love their Judaism and cherish it as their own treasure. Beth Chabad C.S.L. 's Jewish awareness programs are targeted specifically to the thousands of children and youth enrolled in local schools. Although some youth may seem to be disconnected, Chabad knows otherwise. Today, the teenagers you would least expect to see at Beth Chabad come to learn, ask questions and participate in Shabbatons where they meet and develop lasting relationships. Hechal Menachem Community Youth Centre; Building the future of our community...Be a part of it!